Jeremy Corbyn says Labour is "not supporting or calling for a second referendum" on the UK's EU membership. The party leader reiterated his call for MPs to have a "meaningful vote" on the final Brexit deal. Meanwhile, shadow foreign secretary Emily Thornberry said that if 90% of people were calling for another vote, it would present a challenge "for all of us who are democrats". But as things stand the UK is leaving the EU, she said. Mr Corbyn also hit back at critics within the party calling for the UK to remain in the EU single market and customs union after Brexit. "The single market is dependent on membership of the European Union," he said. But he said the existing arrangements needed improvement. Both Labour and the Conservatives have said the 2016 vote to leave the EU should be honoured. 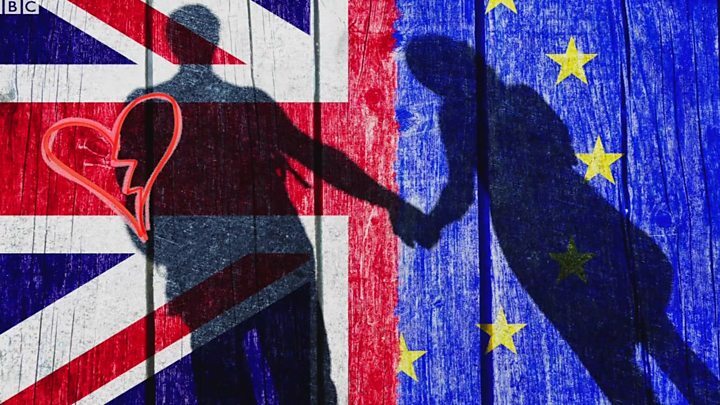 But some in the pro-EU campaign, like the Liberal Democrats and former Labour Prime Minister Tony Blair, want another referendum before the UK leaves the EU, which is due to happen in March 2019. 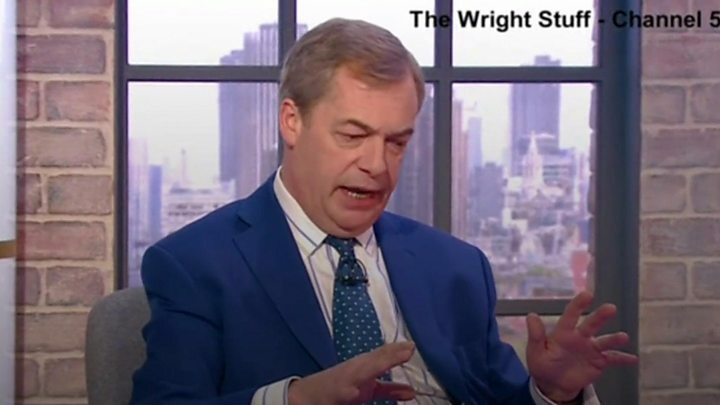 And last week former UKIP leader Nigel Farage said a second vote might be needed to end the "whinging and whining" of anti-Brexit campaigners. Mr Corbyn was asked about this issue on ITV's Peston on Sunday. "We are not supporting or calling for a second referendum," he said. "What we have called for is a meaningful vote in Parliament." 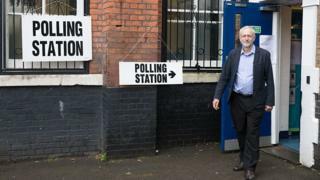 When it was put to Mr Corbyn that he was not saying he would never support another referendum, the Labour leader said: "We are not calling for one either". On the BBC's Andrew Marr show, Ms Thornbery was asked about demands for a second nationwide vote. "If 90% of the population was now saying we must stay in the European Union and we must not leave then that would be a challenge that would be there for all of us who are democrats," she said. "But, at the moment, and as things currently stand, we proceed in good faith, we do as we are instructed and we are leaving the European Union." While the result of the referendum means the UK must leave, she added that "we have to look after the economy which, in my view, means that we don't go very far". Conservative deputy chairman James Cleverly said the two Labour politicians had "failed to rule out a second referendum". "Every step of the way Labour are trying to frustrate the Brexit process rather than make a success of it," he said. Mr Corbyn is facing calls from within Labour - as well as other opposition parties - to commit to keeping Labour in the EU single market and customs union after Brexit. This is the goal of an amendment to the EU (Withdrawal) Bill being backed by the SNP, Liberal Democrats, Plaid Cymru and Greens which returns to the Commons this week. Labour has said it wants the "closest possible ties" with EU markets after Brexit. Mr Corbyn said the UK would "obviously" have to be in "a customs union" with the EU after Brexit, but suggested the existing arrangements needed improvements. But he expressed reservations about the EU single market, which allows for goods to be traded freely between EU members. "There are aspects of the single market one wants to think about such as the restrictions on state aid to industry, which is something that I would wish to challenge," he said. He also called for changes to the EU customs union, which sets common external tariffs for countries outside the EU, suggesting it was "in come cases protectionist against developing countries". In his ITV interview, Mr Corbyn also criticised Donald Trump, accusing him of making "endless offensive remarks" about women, minorities and different faiths. Labour has been strongly critical of the US president and the decision to invite him on a state visit to the UK. Asked whether the UK's relationship with the US was the most important relationship it had with another country, the Labour leader replied: "No. I think there are many important relationships. "The US one is obviously culturally and economically significant and important. "Also the trading relationships we have around the world with obviously the EU, but also with India and China and the rest of the world are very important. "Also our relationship with international institutions such as the United Nations is very important." Last week Foreign Secretary Boris Johnson accused Mr Corbyn and London mayor Sadiq Khan of putting the UK-US relationship "at risk" with their criticism of Mr Trump.